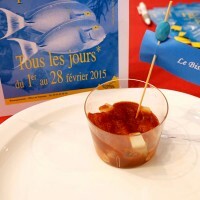 During the month of February, 8 restaurants in Theoule involved in the Kermesse Aux Poissons will offer a gourmet program with savory “all fish” menus. 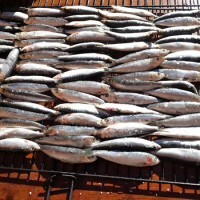 Fish is light, delicious and will do your health a world of good. 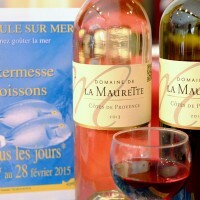 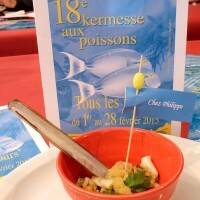 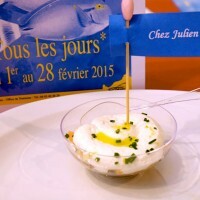 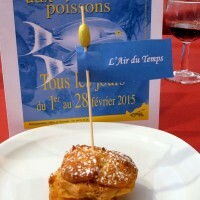 In February, the Kermesse Aux Poissons in Theoule sur Mer offers you the unique opportunity to eat fish with 8-dish menus at affordable price, concocted by talented chefs. 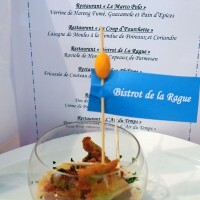 During a month, Theoule becomes a gourmet paradise and invites you to a journey through fish and shellfish, boasting “le bien vivre”! 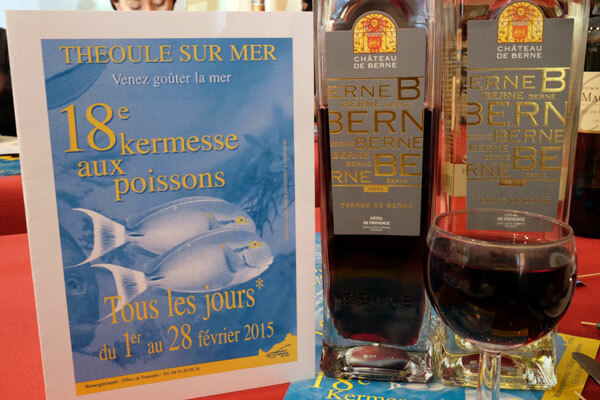 The Kermesse Aux Poissons, initiated by Peter Van Santen, President of the Tourist Office at the time, has become a major event in the resort. 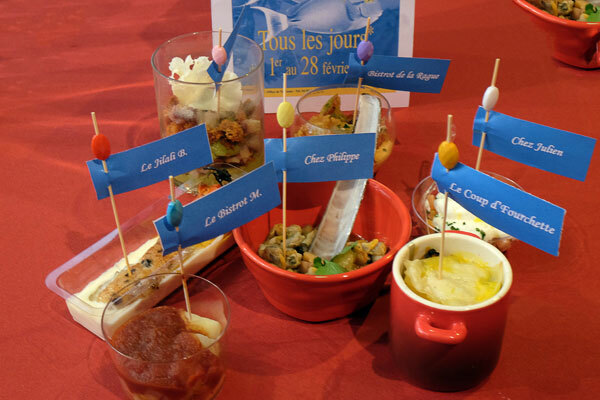 Over the years, thanks to the quality of products and the originality of the concept, she attracted more and more épicuriens to savor 7 to 8 dishes in each menu. 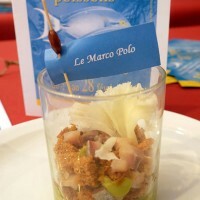 The menus will offer daily the best marine gastronomy with several hot and cold appetizers, several dishes, cheese and dessert, at a particularly attractive price – wine and coffee included – between 45 and 65 €, depending on the category of the establishment, to suit all pockets and tastes. 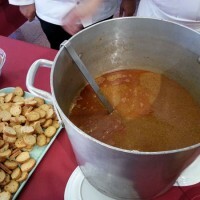 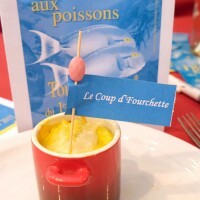 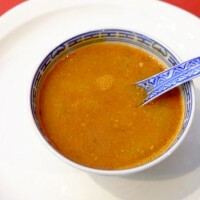 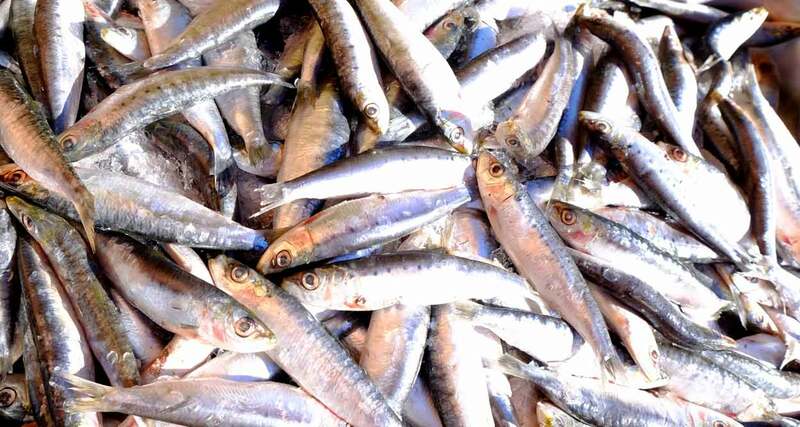 On the opening of the Kermesse Aux Poissons, the Tourist Office invited the chefs involved in the event to prepare a delicious Soupe de Poissons offered to the public, as well as a large Sardinade, with fresh Sardines grilled on barbecue. 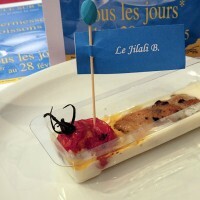 Each of the 8 chefs had prepared samples of their talent that we offer you to taste with the eyes to sharpen your appetite before enjoying a meal at La Kermesse aux Poissons in Theoule sur Mer.